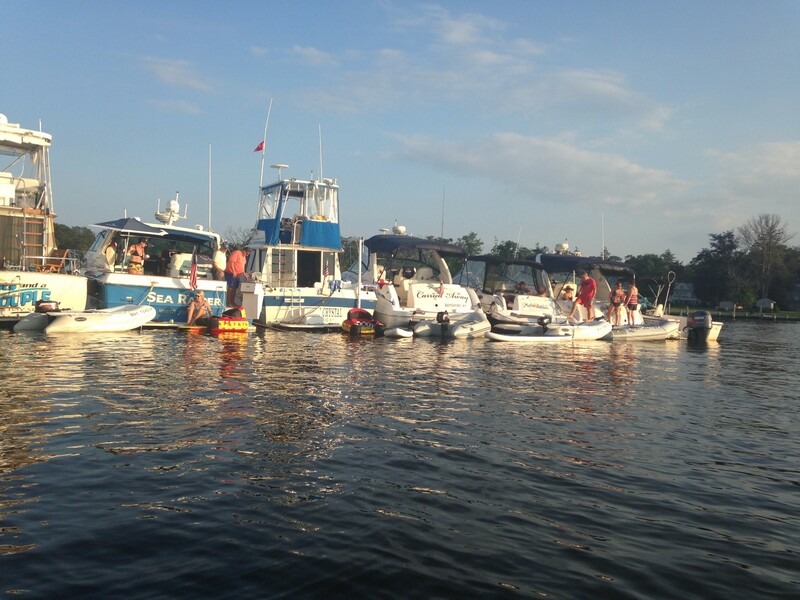 As a boating organization we have many on-water events for our members to enjoy. Early in the spring we start our boating year with our Spring Brunch. Generally held at one of the fine restaurants on the south shore which allows members to come by both boat and car. Next up is our Blessing of the Fleet. Annually a procession of boats is assembled in either the Connetquot river, or Bay Shore Marina area where they are give a non denominational blessing for anyone who wishes to participate. There is no charge for this event and it is open to the public. 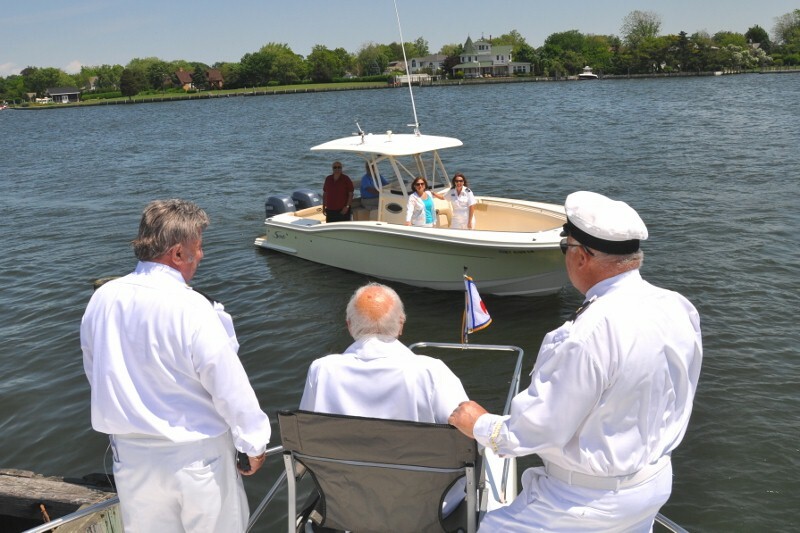 Historically the Coast Guard, Suffolk PD, Harbor Patrol, and many other municipalities attend our blessing. Our biggest blessing was over 150 boats. Sometime in June we have our Spring Picnic. The picnic is held somewhere on Fire Island between Watch Hill and Cedar Beach. The venue changes every year to keep it fresh. The picnic begins on Friday when we put up the tent, open the coolers, and make burgers and dogs for those that helped. The official event kicks off on Saturday morning. 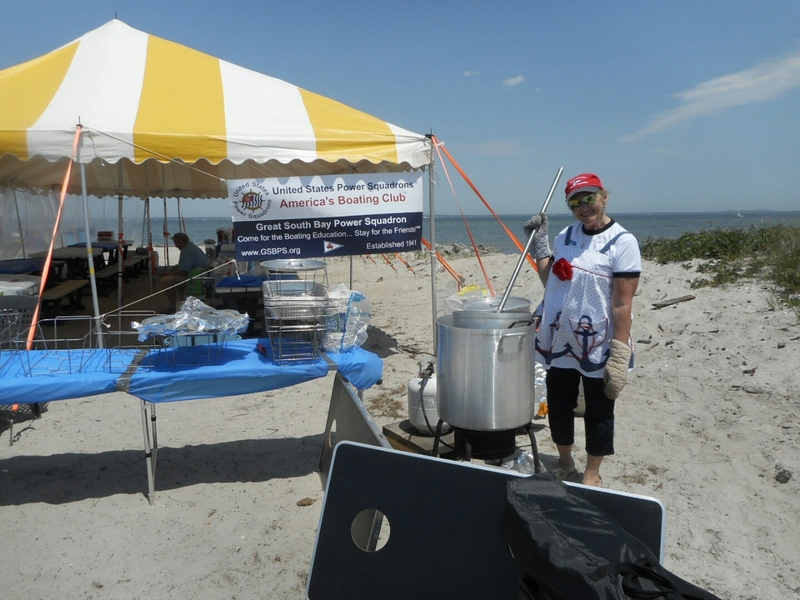 Members enjoy clams on the half shell, the ‘Commanders Liquor Locker’, pina colodas, home made chili, and much more. Lunch is provided, sometimes burgers and dogs, sometimes chicken and pulled pork, but we try to change it up from year to year. Saturday night dinner is generally catered, but occasionally we will barbecue steaks and lobster. Members are asked to bring a side dish or dessert which gives us the best of both a catered event and pot luck dinner. Sunday morning we take down the tent and pack up to go home. 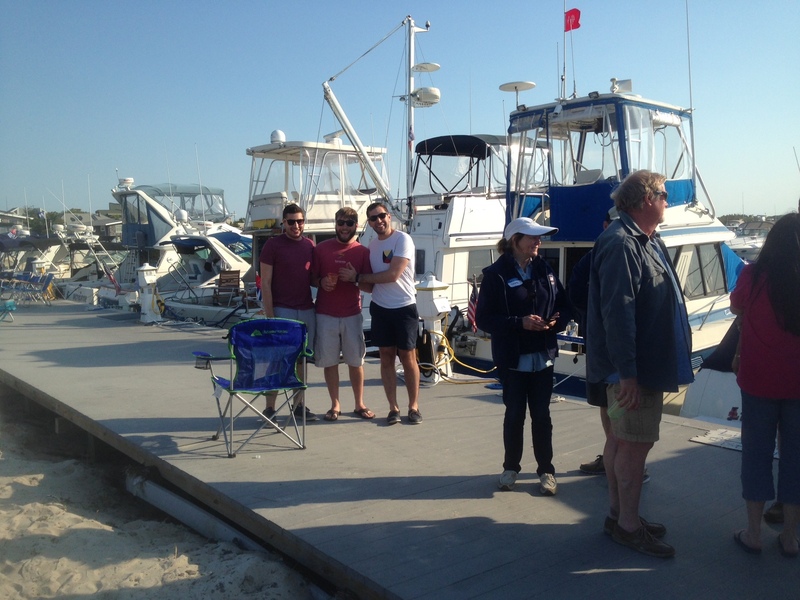 Most marinas that host us allow our members to stay the day on Sunday at a discounted rate. Most of our members take advantage of this offer. Over the summer we have two Raft Ups. A raft up is the tying together of a number of vessels to form a raft-like structure. Raft ups are the least formal event we have. There is no schedule, no events, no time to keep, and no where to be. It is a social gathering of our members. The entire event is BYO but many members will pool resources with each other to make the day more enjoyable. The event is typically overnight and a no generator after pm policy is enforced to ensure a pleasant sleep for all. Emergency Response Team. 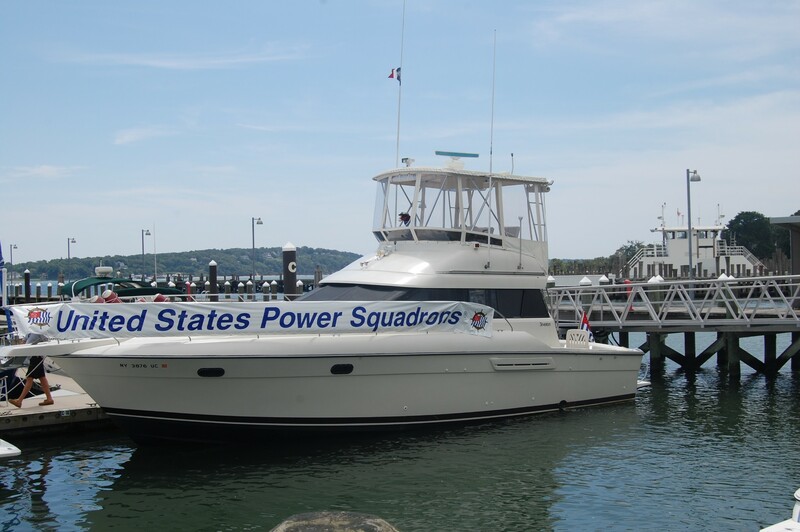 Our SERAT (Squadron Emergency Response Assistance Team) Unit is an arm of The United States Power Squadrons whose mission is to render assistance to boaters, the U.S.C.G., fire departments, law enforcement and other agencies in the event of a water related emergency. 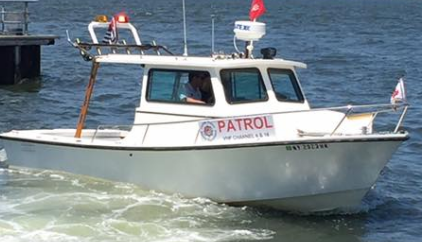 The duties are to provide a Team of highly qualified and experienced boaters with detailed knowledge of local waters who are willing to offer their time and effort to assist in the event of an emergency and other routine safety patrols. These may include water rescue, water search and rescue, water related patrols and help in securing an area in the event of an emergency. Only a few years ago we started our yearly DockSide Raft Up. A dockside raft up follows the same rules as a regular raft up, no schedule, no events, no time to keep, and no where to be. It is a social gathering of our members. The entire event is BYO but many members will pool resources with each other to make the day more enjoyable. What makes it a ‘raft up’? It’s held at a marine that doesn’t provide electric or water (such as Robert Moses Boat Basin). We recieve special permission and permits to stay overnight in places you normally wouldn’y be able to. The P/C Warren Alber, JN Rodeo! Named after the late Past Commander Warren Alber whose skills with a vessel were 2nd to none, the rodeo is essentially a boat handling competition. Are you’re the Master & Commander of your boat? Put your skills to the test. 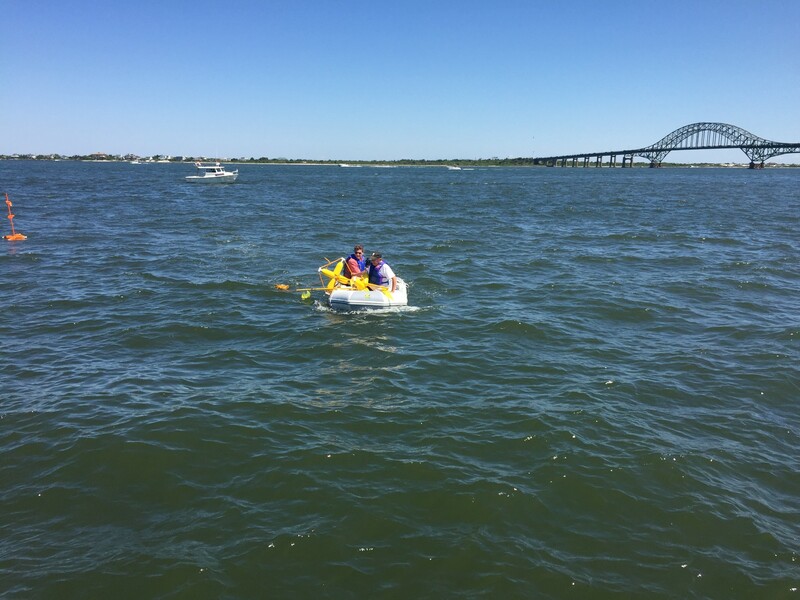 Participating captains will be maneuvering their own boat through an obstacle course of buoys designed to challenge your close-quarter boat handling skills. Amongst other maneuvers, the course will simulate docking “starboard-side-to” to a dock space between other boats and backing into a slip. Although this a challenge of finesse and accuracy the course will be timed with major and minor time penalties added for incorrect maneuvers or course infractions. District III Rendezvous East is held on the east end of Long Island, and sometime Connecticut. Squadrons from all over long island take the voyage east generally in groups of 5 or 6 boats. The Rendezvous is another three day event that begins on a Friday. Friday evening is the ‘District Commanders Cocktail Party and Hospitality Event’ which offers food and drinks, a DJ or live band, and dancing. On Saturday the event is very much like our picnics with food, open bar, music, and a very social atmosphere. Saturday night there is a district diner that varied from year to year. Sometimes it is a BYO casual event under a tent, and others it is a sit down dinner in a restaurant. The venue and District Commander decide what is best for any given year.